While not the grooviest band on the block, Bohemian Vendetta manages to rip out some nice face melting sounds on their sole LP. I would rate this quite on the level of the Electric Prunes at their best, and especially not the Chocolate Watchband, but I'd imagine that these guys could give the Strawberry Alarm Clock some competition at the local civic center's battle of the bands. The good news here is that the first track, "Riddles and Fairytales is what we might call the 'shiztatch' here in the ATL. It's a prime garage rocker and deserves a prime spot on your next tape mix (although I guess we'll substitute the mp3 mix in this modern world). Elsewhere, we find a few questionable covers. Their cover of "(I Can't Get No) Satisfaction" gets five points for some great acid guitar leads, but then loses 76 by being painfully slow and having screechy vocals. They also tackle "House of the Rising Sun," and it's much better, but as you may figure it doesn't lick the poopie toilet paper of the Animals' rendition. The other originals are no great shakes, but they do seem to get better as the album progresses (nevermind the phenomenal opening track). "Paradox City," "Images," and "Deaf, Dumb, and Blind" all nicely meld some searing acid rock guitar to some mind-bending structures. Things are spotty on this album, but the high points are more than worth your attention. 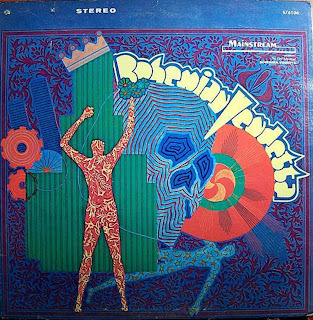 Bohemian Vendetta probably is a good candidate for the quintessential acid garage band. That is to say they don't take home the first prize unopposed, but they do manage to stumble onto some inspired sounds from time to time. I'm sure your friends will give you cool points for pulling this one out on vinyl (and there is a 180-gram reissue somewhere out there). Greetings from Atlanta GA, and thanks! "Charity Killjoy" is a good one. Thanks for this - maybe the best acid punk album ever!